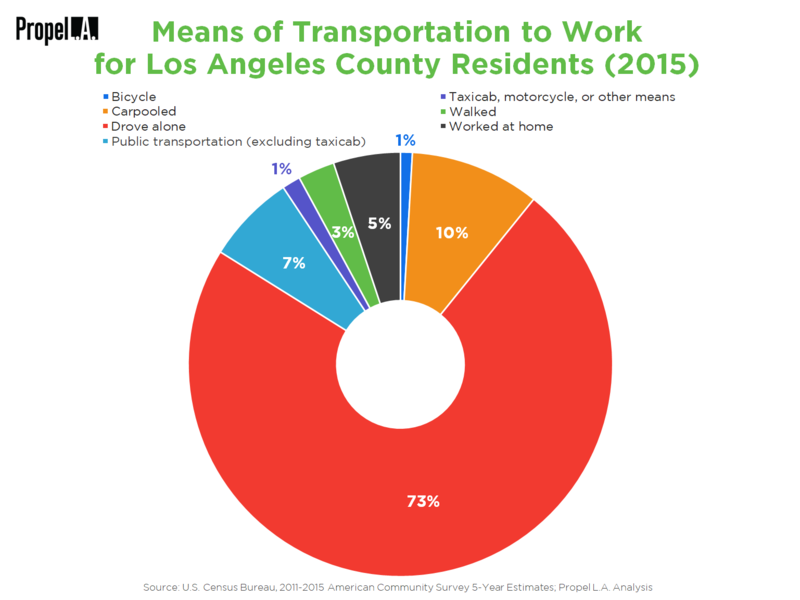 How L.A. County Residents Get to Work (2015) | Propel L.A. Approximately three quarters of Los Angeles County residents travel to work by driving alone in 2015. At 10% of residents carpooling, this method of transportation is the second most popular mean to get to work, followed by 7% of residents utilizing public transportation. Propel L.A. reports on only 2015 for this metric due to insignificant variations throughout the five years in the 2011-2015 American Community Survey.